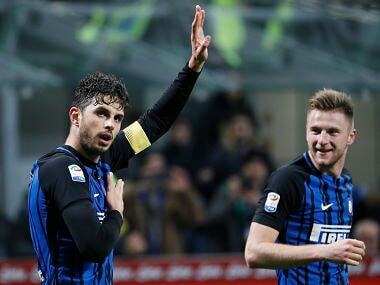 Milan: Milan Skriniar and Andrea Ranocchia nodded crisis-hit Inter Milan back up into third place in Serie A on Saturday with a hard-fought 2-0 win over bottom club Benevento. It was only Luciano Spalletti's side's second win in two months and moves them up one point ahead of AS Roma who take on AC Milan on Sunday with Lazio a further point back in fifth ahead of their game at Sassuolo. "Clearly, at this moment we are not playing with much character or quality," said Spalletti. "Because of the initial expectations, there is much pressure and tension around the lads. "They made a lot of mistakes, but you could tell they played with heart. It's difficult to focus with your head at times like this, but the heart can find a way. "I think we deserved the victory, albeit with a struggle, but it was deserved." Rafinha got his first start since his move from Barcelona last month, with Ivan Perisic returning, but captain Mauro Icardi and Joao Miranda started on the bench. However, the jeers of the 45,000 crowd at the San Siro started within minutes as Inter struggled. 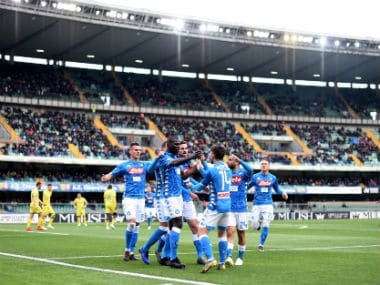 The visitors — looking for their first-ever point on the road and boosted by last week's 3-2 win over Crotone — had matched Inter early with Samir Handanovic parrying a Massimo Coda goalbound shot and Enrico Brignola threatening. Benevento had penalty appeals for a Ranocchia tackle on Danilo Cataldi waved off after a viewing of the video assistant referee (VAR). Rafinha was replaced by Yann Karamoh after 65 minutes with the 19-year-old French player earning the corner from which the opening goal emerged with Slovak Skriniar heading in to the delight of the crowd. Three minutes later defender Ranocchia -- who spent last season on loan at Hull City — nodded in the second much to the obvious relief of Spalletti on the sidelines. "It's an important result because it gets us past a mental block," said Ranocchia. "Now we want to better prepare next week's derby match against AC Milan." Benevento — who have now conceded 60 goals this season — ended the game with 10 men with Nicolas Viola sent off after receiving two yellow cards. 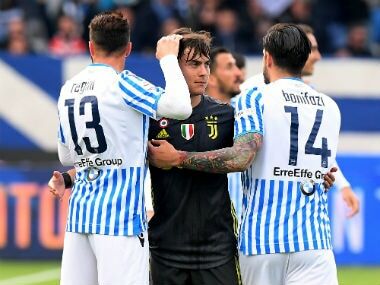 "Being able to take Inter on openly and play this well at San Siro is already a good sign for the future, now hopefully points can follow too," said Benevento coach Roberto De Zerbi. Earlier Bologna ended Genoa's three-match winning streak with Mattia Destro scoring and setting up Cesar Falletti's second in a 2-0 win. 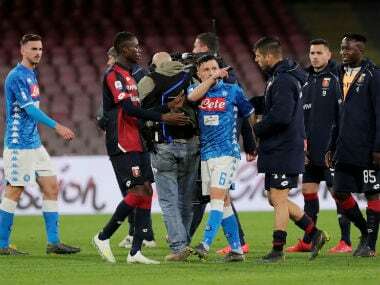 Genoa had beaten Inter, Lazio and Chievo on the trot but paid for defensive errors at the Stadio Dall'Ara. Destro opened four minutes after the break and crossed to Falletti for his first Serie A goal as Bologna, in 11th, followed on from last week's win over Sassuolo to stay two places ahead of Genoa in the table.